Mmmmm… a sunny tropical island with a sandy beach and yummy coconut juice to drink. What could be more relaxing? Um, almost anything, actually – because these are WILD islands! Marvel as a brand-new island pops up from the sea! Gasp at the hot-tempered island that blows its top! Choke on the stinky smell of an island dragon’s foul breath! And if that’s not wild enough for you… find coconuts with magical powers, try to crack the case of the mysterious missing island, and read the remarkable story of a real-life Robinson Crusoe. 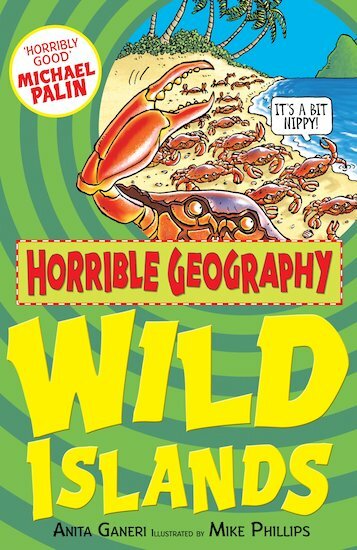 Goodbye, boring geography lessons! Hello to being cast away on the far-flung shores of Wild Islands!